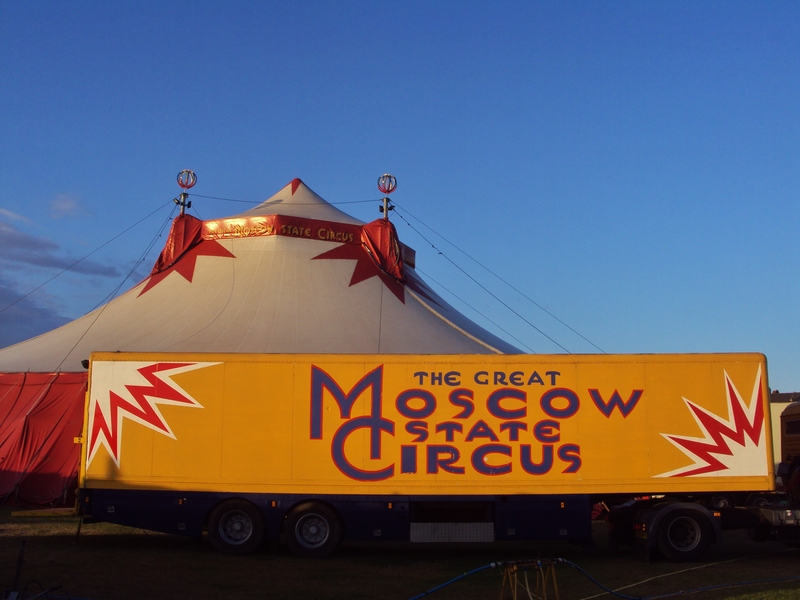 First day of the Moscow State Circus’s performances on Southsea Common…and excellent they were too. The performance ran from around five to eight till ten past ten with a 25 minute interval, and this was taken towards the end of the first half. Might be a bit difficult to make her out, but there is a woman trapeze artist suspended from what looks like a giant turquoise lampshade at the top of the picture ;). I haven’t been to a circus since I was about 12. 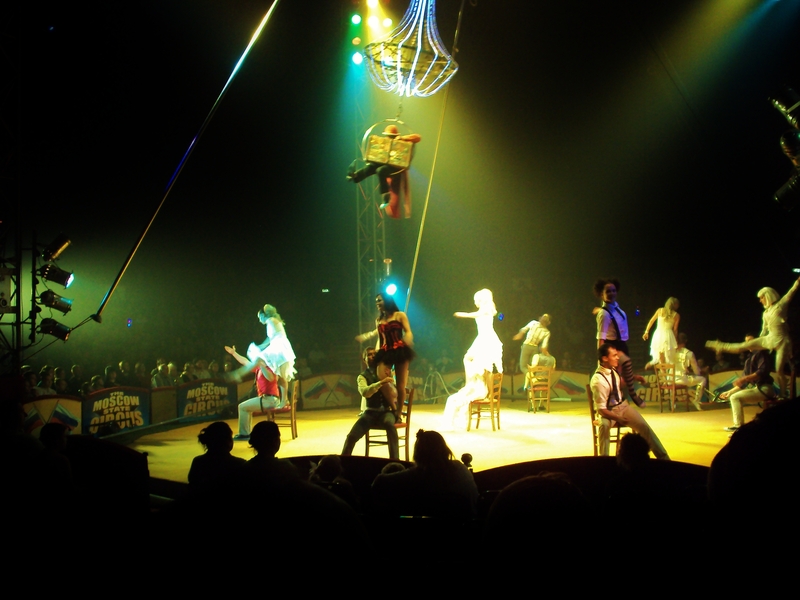 I can’t remember ever going to a live circus as a kid, but I’ve now been to three in the past three years, all on Southsea Common, and all complimentary tickets, thanks to XQ advertising the circuses in her shop window. 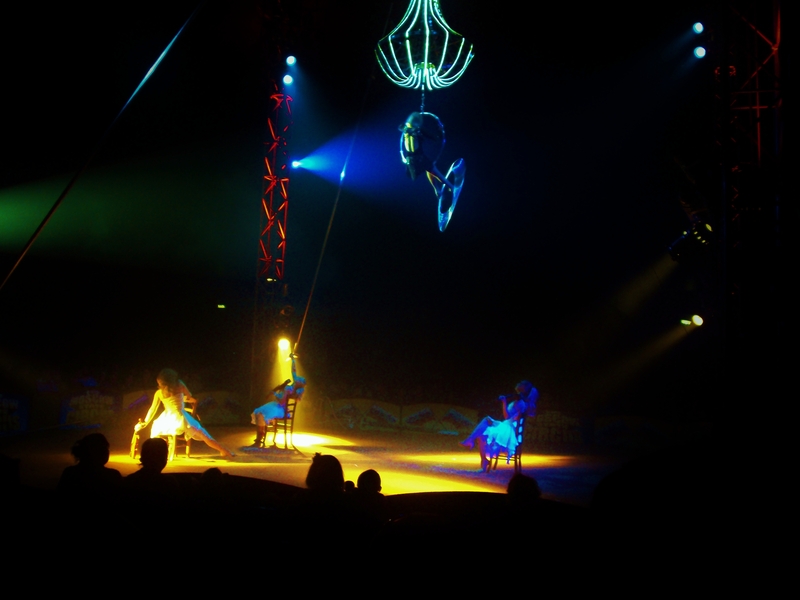 In 2009, the Chinese State Circus visited Southsea, and XQ went with her daughter and son-in-law, and she tells me it was the best of the circuses she’s seen in the past few years, so I’m hoping they return in the next year or two, so I get the chance to see them too :).